After completing a BA (Hons) degree in Film and Video (University of Wales) and an MA in Film Studies (Sheffield Hallam University), Dr Jonathan Driskell wrote his PhD thesis at King’s College London on ‘Female Cinematic Stardom in 1930s French Film’. In this he explores the significance of a new type of female star that emerged in France during the 1930s consisting of performers who entered the cinema directly, rather than beginning their careers on stage as was customary at the time. This work is part of a broader interest in film stardom: he wrote his MA dissertation on Bette Davis and, while at King’s College London, co-organised a conference entitled ‘New Developments in Stardom’. He also teaches a third year unit at Monash entitled ‘Stardom: Celebrity, Society and Power’ and in 2016 organised a workshop on ‘Film Stardom in Southeast Asia’. Since completing his PhD he has written a number of pieces on French cinema, including a book on Marcel Carné, which forms part of the Manchester University Press French Film Directors series, and a book entitled The French Screen Goddess: Film Stardom and the Modern Woman in 1930s France, which is based on his PhD thesis. In the School of Arts and Social Sciences, he serves as Deputy Head of School (Education) and as the coordinator for the Major in Film, Television and Screen Studies. Dr Jonathan Driskell’s research interests are in film history, film authorship, star studies, and the representation of gender in film. He focuses in particular on French and Southeast Asian cinemas, especially the Malay cinema of the 1950s-1960s. He has published two books on French cinema. The first is a study of the french film director Marcel Carné, who is well-known for his contributions to the Poetic Realist film movement of the 1930s and his ‘masterpiece’ Les Enfants du paradis, which is frequently listed as one of the best French films of all time. The second looks at 1930s French film stars and is entitled The French Screen Goddess: Film Stardom and the Modern Woman in 1930s France. He is currently conducting research on the stardom of P. Ramlee, and is also editing a book entitled Film Stardom in Southeast Asia, which is to be published by Edinburgh University Press and is based on a workshop he organised in 2016. He has plans for other projects on the representation of Kuala Lumpur in film and on popular film during the golden age of Malay cinema (1950s-1960s). Dr Jonathan Driskell is editing a book entitled Film Stardom in Southeast Asia, which is to be published by Edinburgh University Press. It includes contributions on stars and stardom from Burma, Cambodia, Indonesia, Malaya, Philippines, Singapore, Thailand and Vietnam. He is also working on a project on the stardom of P. Ramlee, which examines his star persona from the 1950s to the present day. Before starting work at Monash, Jonathan was a sessional lecturer at King’s College London, Kingston University and the University of Southampton in the UK, where he taught a wide-range of Film Studies subjects, including film history, film authorship, the representation of gender in film, and 1930s French cinema. He has made a number of contributions to the Film and Television Studies curriculum at Monash University Malaysia, having taken it from being a subject that was initially only offered as an elective to one that can now be taken as a full Major - following the introduction of the Major in Film, Television and Screen Studies in 2019. He has also created several new Film Studies units and currently teaches two of these - a first year subject, Film Studies: Forms and Approaches, and a third year unit, Stardom: Celebrity, Society and Power. Jonathan Driskell (2012), Marcel Carné (Manchester; New York: Manchester University Press). Jonathan Driskell (2015), ‘Michèle Morgan’ and ‘Danielle Darrieux’, in Michaël Abecassis (ed) with Marcelline Block, French Cinema in Close-up: La Vie d’un acteur pour moi (Dublin: Phaeton). Jonathan Driskell (2012), ‘Un mauvais garçon’, in Charlie Michael and Tim Palmer (eds. ), Directory of World Cinema: France (Bristol: Intellect). Jonathan Driskell (2012), ‘Quelle drôle de gosse: Danielle Darrieux et la comédie française des années 30’, in Delphine Chedaleux, Gwénaëlle Le Gras, Raphaëlle Moine and Geneviève Sellier (eds. ), Revisiter le cinéma français classique: les genres et leurs acteurs et actrices (Rennes: Les Presses Universitaires de Rennes). Jonathan Driskell (2010), ‘The meaning of that French word chic: Annabella’s Franco-British stardom’, in Lucy Mazdon and Catherine Wheatley (eds. ), Je t’aime…moi non plus: Franco-British Cinematic Relations(New York; Oxford: Berghahn Books), pp. 185-96. Jonathan Driskell (2008), ‘The female ‘metaphysical’ body in poetic realist film’, Studies in French Cinema, 8:1, pp. 57-73. Driskell, J, 2016: Film Stardom in Southeast Asia Workshop, School of Arts and Social Sciences, Monash Malaysia, RM 15,000. Driskell, J, 2015: Southeast Asian Independent Cinema: A World Cinema Movement?, School of Arts and Social Sciences, Monash Malaysia, RM 7,920. Driskell, J, 2014: Stardom across borders in the Malay world: The reception of P. Ramlee in 1950s Indonesia, Social and Economic Transformation in Asia (SETA), Monash Malaysia, RM 7,800. Driskell, J, 2014: Transformations in P. Ramlee’s star persona, from the 1950s to the present day, School of Arts and Social Sciences, Monash Malaysia, RM 6,915. 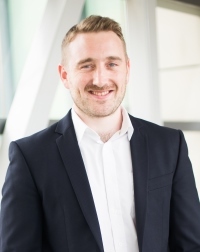 Dr Jonathan Driskell is interested in supervising research in the following areas: film stardom and celebrity, cinema and gender, film history, French cinema and Southeast Asian cinema.